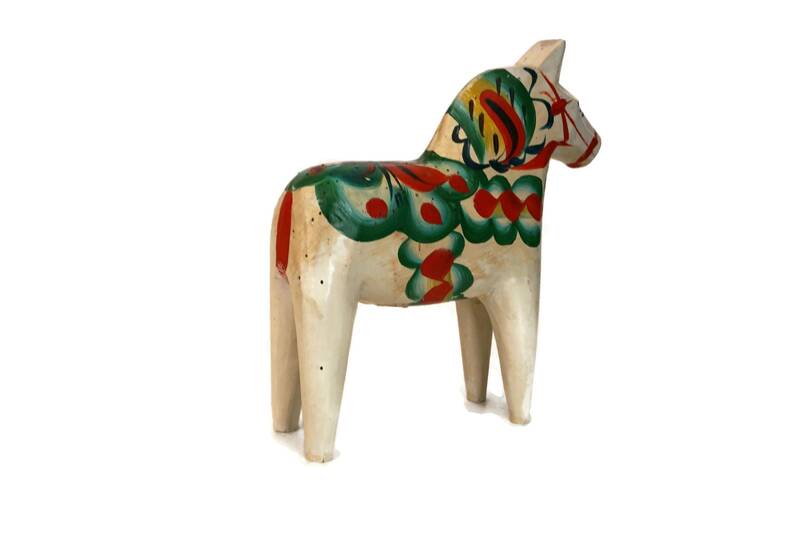 A lovely vintage Swedish Dala horse figurine hand crafted by Nils Olsson and dating from the 1970s. 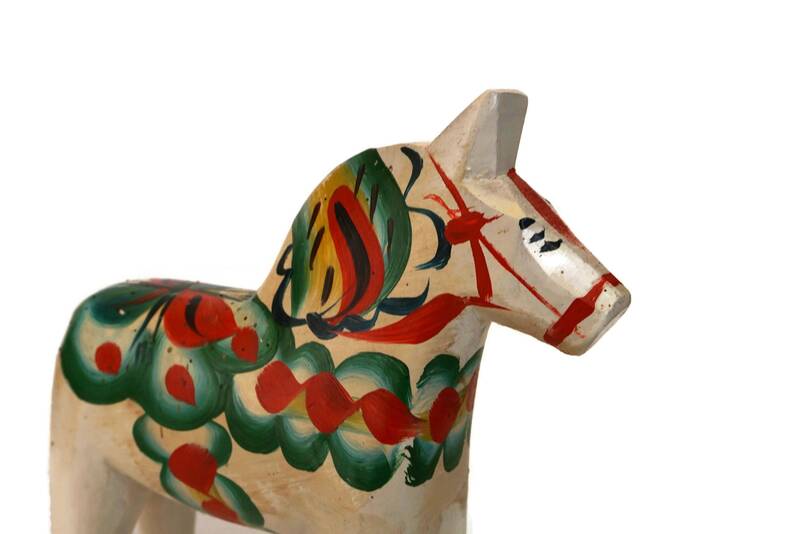 The Dalecarlian horse have been stoutly carved from wood and hand painted in white with traditional folk art design in shades of green and white. 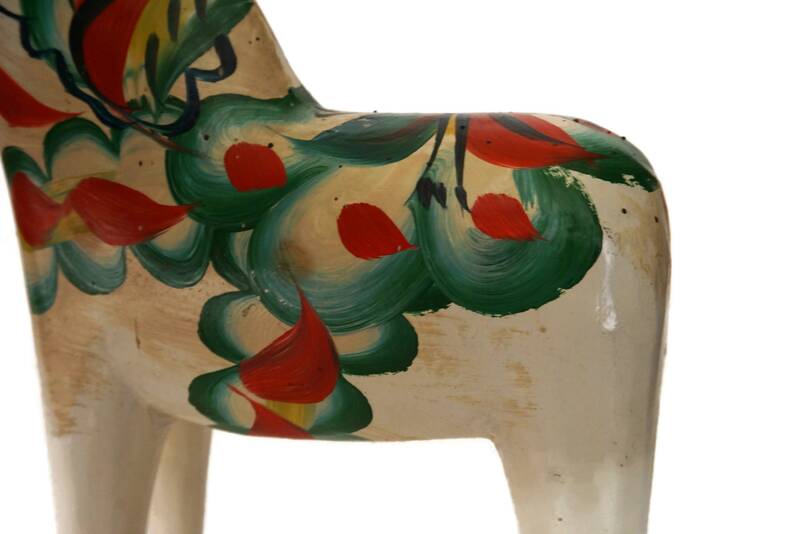 The horse figurine still has its original ticket on the underside to confirm it is genuine Delicarlinan hand craft made by the artist Nils Olsson. 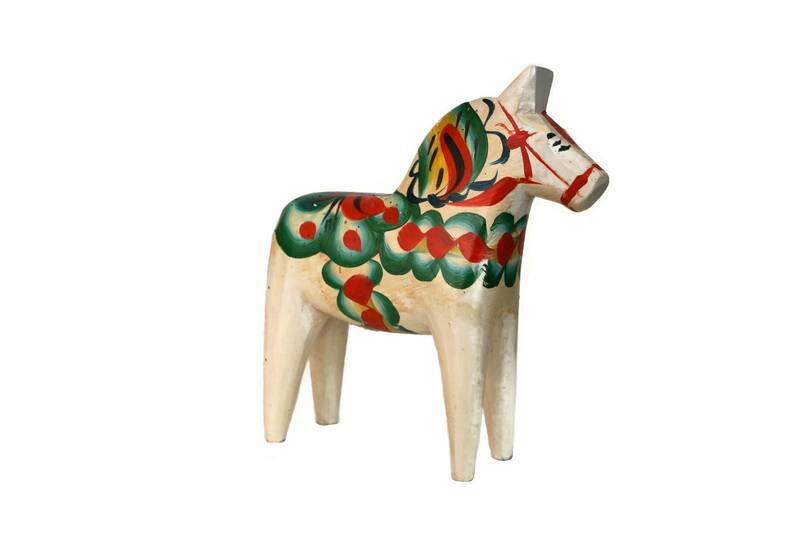 It will make a great addition to your Scandinavian decor. 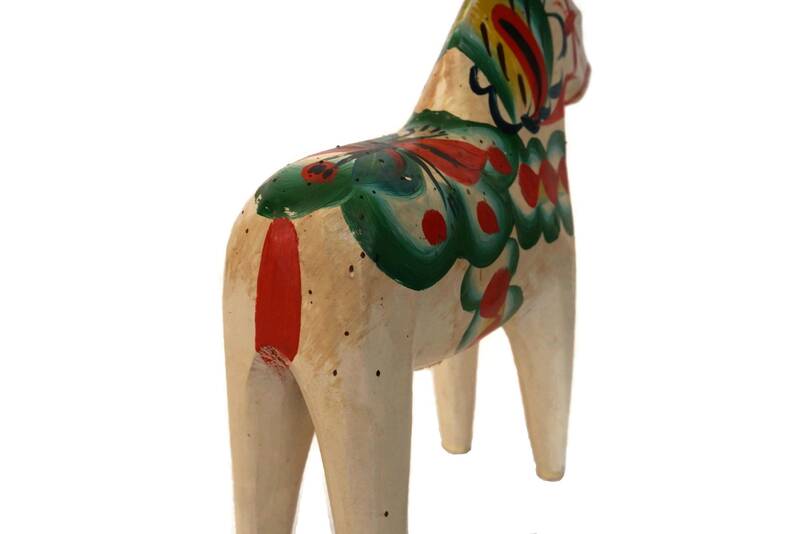 A Dalecarlian horse or Dala horse is a traditional carved, painted wooden statue of a horse originating in the Swedish province of Dalarna (Dalecarlia). 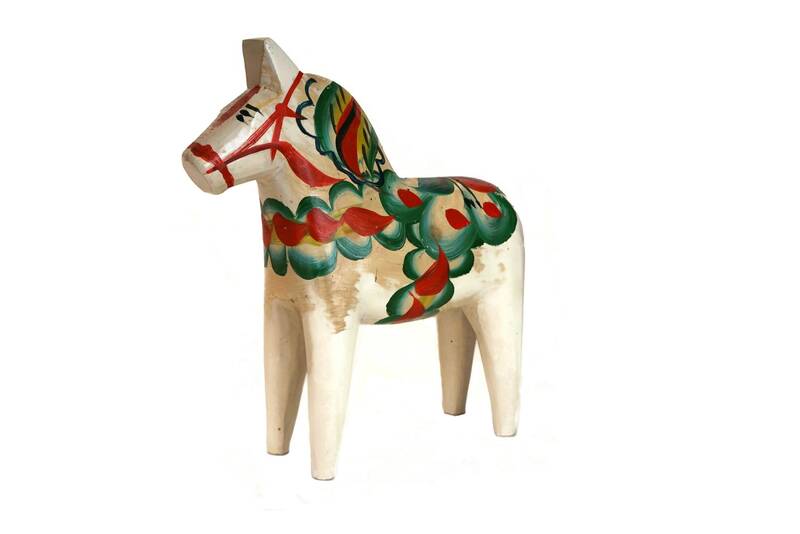 In the old days the Dalecarlian horse was mostly used as a toy for children; in modern times it has become a symbol of Dalarna, as well as of Sweden in general. 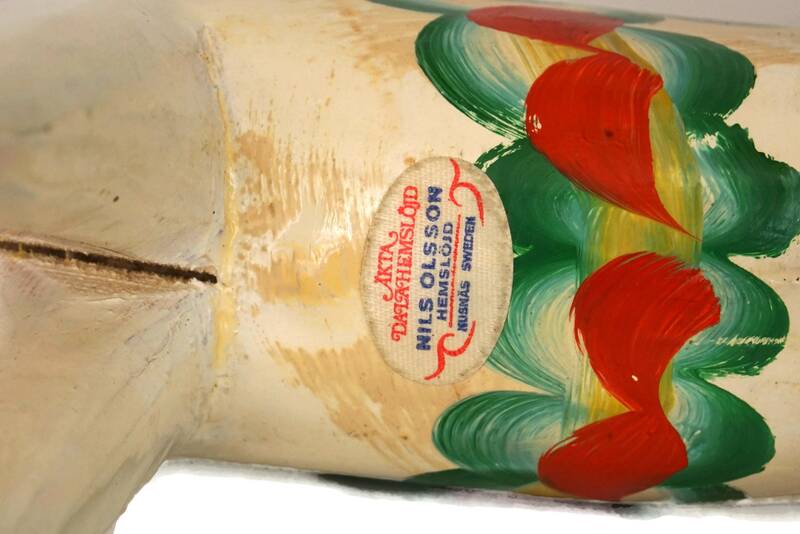 (15 cm x 14,5 cm x 4,5 cm). 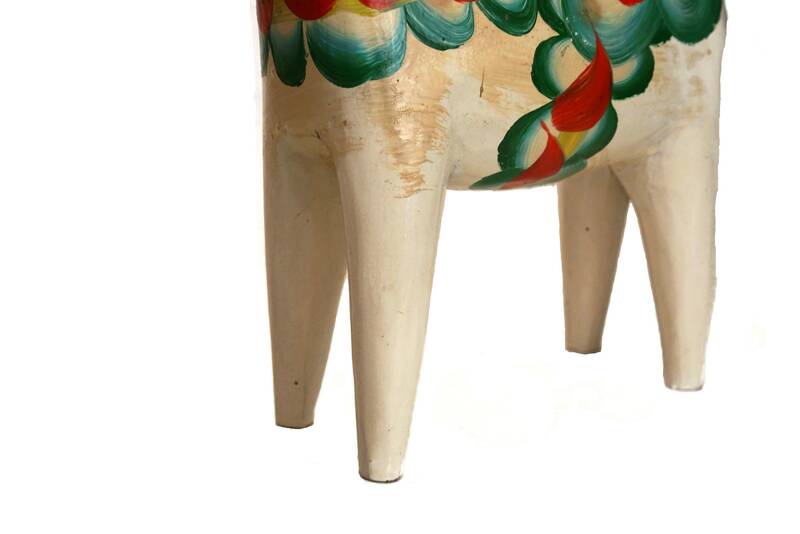 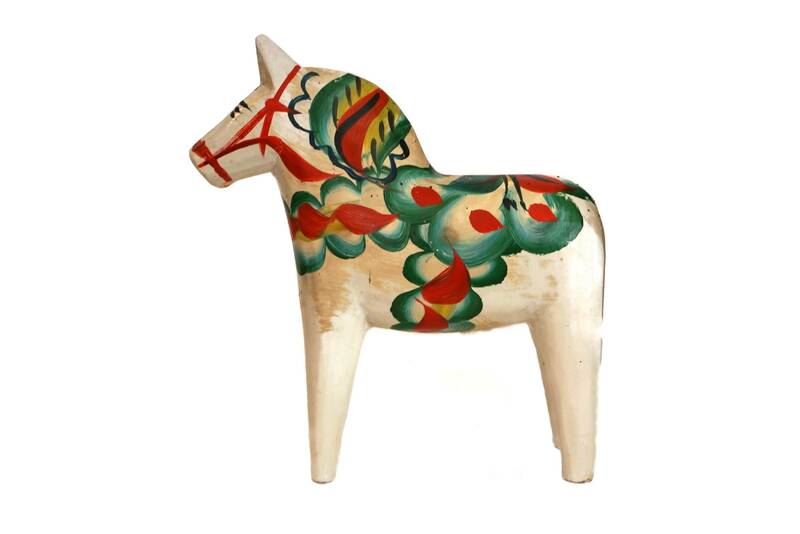 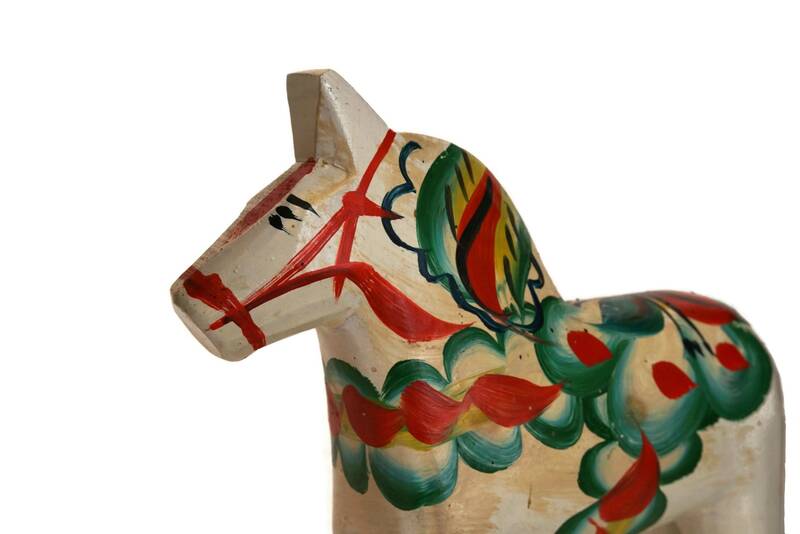 The vintage wooden Swedish Dala horse is in very good condition with some light signs of age including light surface marks and small flakes to the paint in places.